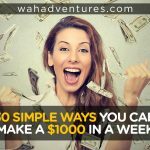 Need Easy Extra $350+/Month For Free? This is your home. What most people do not realize at first is that this screen is highly customizable. To make your Dashboard work for you loo toward to the right corner for ‘Screen Options’. Now you will see a box open that allows you to check different features you would like to see on your dashboard. You can also decide how many columns you would like your dashboard to have. Finally, return to your home screen by clicking on the ‘Screen Options’ button again to make the box move back out of view. Then you can drag and drop the different boxes you have on your dashboard to line them in whatever order you would like! Do this by moving your mouse over the header of each box. When your mouse turns into a 4-headed arrow then you can click and drag. You can further customize this screen by going to each boxes top right corner where you will find the ability to configure the options . Writing Posts in WordPress is obviously the most important feature! There are so many hidden little tricks inside but today I will only discuss the most commonly used. It is very important that you know there are two different ways to compose a post. The most user-friendly and obvious one is called ‘Visual’. Then there is a more advanced screen called ‘HTML’. This is the tab you will want to use anytime you are given HTML coding to place into your posts. This feature will become used regularly through your future blogging career but right now may not have much meaning. But let’s say you are asked to do a paid post for SocialSpark. Within that post you have been asked to place a banner and Social Spark has give you a code to use. If you place this code within your normal Visual tab then your banner will not appear and instead your reader will be confused by a block of HTML coding. You will need to click on the HTML tab and place the code where you want. Then return to the Visual tab to see the banner. Oh the best thing about WordPress is undoubtedly the Plugins!! Plugins are additional features you can add to WordPress. 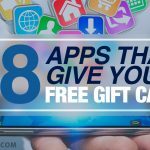 There are what seems to be unlimited plugins available around the web and majority of them are FREE! Join e-Poll, one of the few faithful and honest survey panels and earn cash - paid via PayPal - gift cards for Amazon, Best Buy, iTunes, Starbucks, and Walmart, plus Retail e-vouchers. The surveys are aimed at entertainment-related research, covering such things as personal TV watching habits, give feedback on new TV commercials or to review DVDs that are sent to your home. For USA residents aged 13+. No hidden fees and completely free! WordPress comes preloaded with a few plugins for your convenience. Here is where you can see what you have and where you can delete or deactivate unused plugins. To add new plugins click the ‘Add New’ option at the top of the page. You can find new plugins by either searching the Plugins Database or by doing Google searches. I prefer to search Google because many bloggers will give a list of several plugins that fit what you are looking for and they often share their experiences or compare them to other similar plugins. Once you find a plugin you want to add to your WordPress Dashboard you will want to search the database for its name. WordPress will give you plugins that are related to your search. Here you can compare plugins via their ratings and description. Once you are ready to add your plugin his the Install Now option. Many plugins will need configured after you install them. However, this is where being new to WordPress gets frustrating. Because these plugins are created by pretty much anyone who knows how to do them, the way to configure them can be different on every plugin!! I get so aggravated with this at time! Look to see if you find the plugin name within your settings options. If not, then the next place you can check is back on the plugins screen itself. Choose the plugins tab on the left sidebar of WordPress. Find the plugin in your list and see if there is a Settings option. If you do not see a Settings option here then the next thing is to think of the purpose of the plugin. For example, if the plugin is to be used for editing your blogs appearance then maybe it can be found under the Appearance tab in the sidebar. 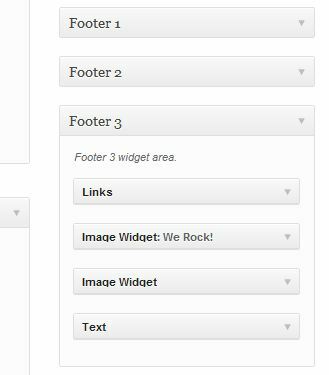 Widgets are tools used to customize your sidebar. To access your Widgets hover your mouse over the Appearance tab and click Widgets. Under Available Widgets you will see what you currently have to play with. On the right side you will see the different sidebars you have access to editing it’s contents. Click on one of the sidebar headings and you may see a list of widgets within that section. You can simply drag and drop widgets into place and into order however you desire. The TEXT widget can be used to place anything from Text to HTML coding. This will probably be the most used widget. Many of these features will surprise you by how complex they CAN be! When you combine Widgets and Plugins to WordPress you will soon feel that anything is possible! And when you take advantage of the many tutorials around the web you can make it all happen on your blog! It can feel very overwhelming if you try to learn it all at once. Just stick with the basics for now and the advance abilities will come with time when you need them most. 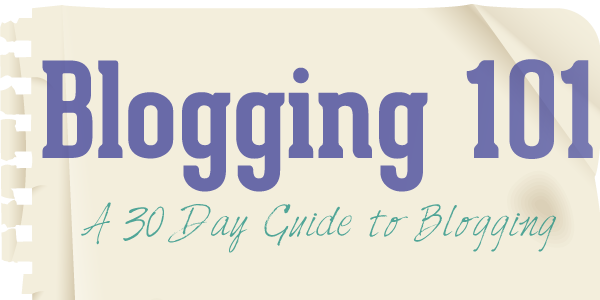 The next post in our Blogging 101 Series will be a list of Plugins I find are essential when I build websites for my clients. Sign Up for Post Updates! Join Surveyo 24 #1 paid survey site. It's easy - complete a survey and receive payment. 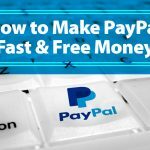 No hidden fees and completely free! Miranda Grimm- The creator of WAHadventures.com- has many passions in life. The Lord, her family, blogging and especially Web/Graphic Design! Miranda is living out her dream, working from home to be with her children while actually making money doing something she loves! I can’t wait for the next installment! My first blog post is all ready to go! Thanks, Miranda! Thanks Kendra! Keeps me going 🙂 Should be around Wednesday! I am hoping to get two of them out this week. 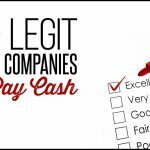 60 Legitimate Online Jobs That Pay You Every Day or Week! 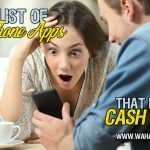 Huge List of 93 Android and iPhone Apps That Really Pay You Money! 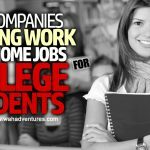 76 Best Online Jobs for Teens Under 18. Legit & Free.